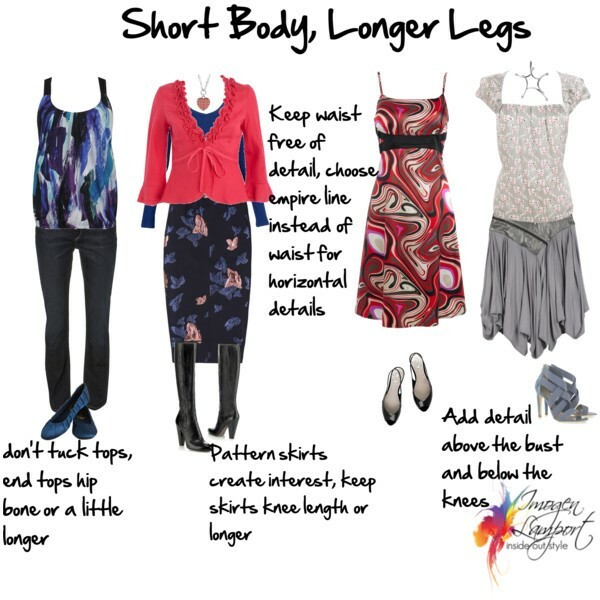 Following on my series on Body Proportions – today we’re looking at the dressing challenges of those with a shorter body and longer legs. Not sure of your proportions? Then watch the video here on how to measure them. 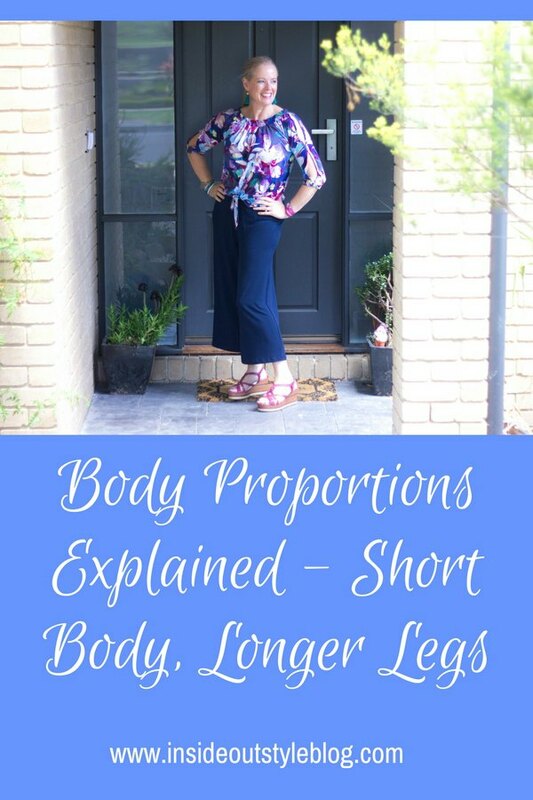 If you have a shorter body and longer legs, you may often have slimmer legs and keep more weight on your body, frequently this body proportion has a short waist and it’s easier to put on weight here. The thing to think about is elongating your body, but not at the expense of over shortening your legs. Balance is the ideal. You may still have a balanced chin to mid-bust point proportion and if you do, or even have a longer proportion here, add detail with interesting necklines and jewellery above the bust. Adding detail above the bust always draws attention and creates a focal point here that stops the eye from wandering all over (read about how imperative this is when dressing, no matter which proportions you have). It is likely you will be short from mid-bust to waist – your rib cage most likely sits almost directly on top of your pelvis with little gap in between, this is why you don’t have a defined waist, as there is no space to create one. If this is you, avoid any waist detail, bypass the waist and definitely don’t add horizontal detail at this point. Instead wear empire detail, just below the bust, which will give you the illusion of a longer waist. I used to think that if I just lost enough weight I’d have a waist, I’ve discovered that I just don’t have one, as my rib cage sits right on top of my hips with only a miniscule gap! There is no space for a defined waist on my body! Skim over your waist and end tops no shorter than the hip bone. Avoid multiple layers of tops (which can look great on those with a longer waist), instead, make sure your top layer ends at the same point or longer than your under layers. To Tuck or Not to Tuck? That is the question! Don’t tuck if both items are fitted. If you have a soft blousy top, you can tuck and then blouse your top over your waistband to make it high hip length (not waist length). If you are very slim you can belt with a belt at the waist. Interestingly sometimes a wider belt works better than a narrow one, but I suggest trying different width belts out on your body. Otherwise if you wish to belt make it a hip belt. Get more tips on how to define a short waist here. Mid-rise or low-rise pants are best for you, avoid high waist garments as they will further shorten your body. Because you have longer legs, you get to play more in the playground of pant length. 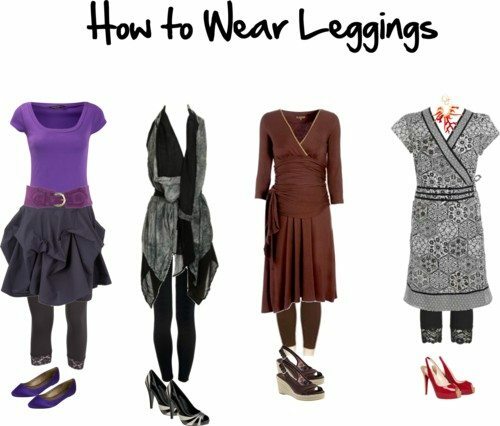 You can wear 3/4, capri, 7/8 as well as full length pants more easily. 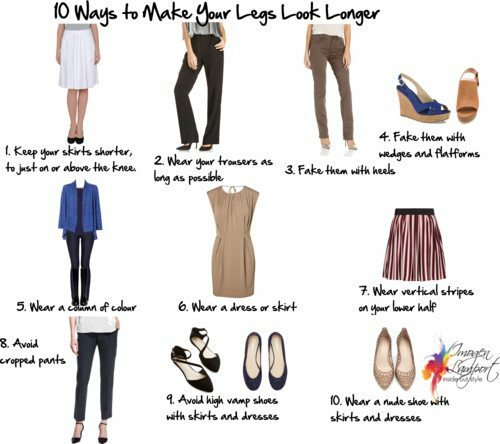 But do remember that shorter or cropped pants do cut down the length of your legs. Culottes are leg shortening – so if you don’t have really long pins, add a wedge or heel to give back what the shorter trouser length takes away. If you have slim legs, feel free to look for interesting pocket detail on skirts and trousers. Skirts can have pattern, or other detail such as ruffles or braiding at the hem. 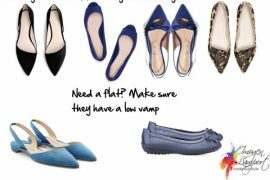 Shoes can be low or high vamp. 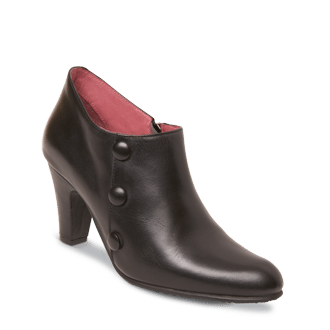 You will have an easier time of carrying off a flat shoe than your shorter legged friends. Want to Understand More About Dressing Your Body? 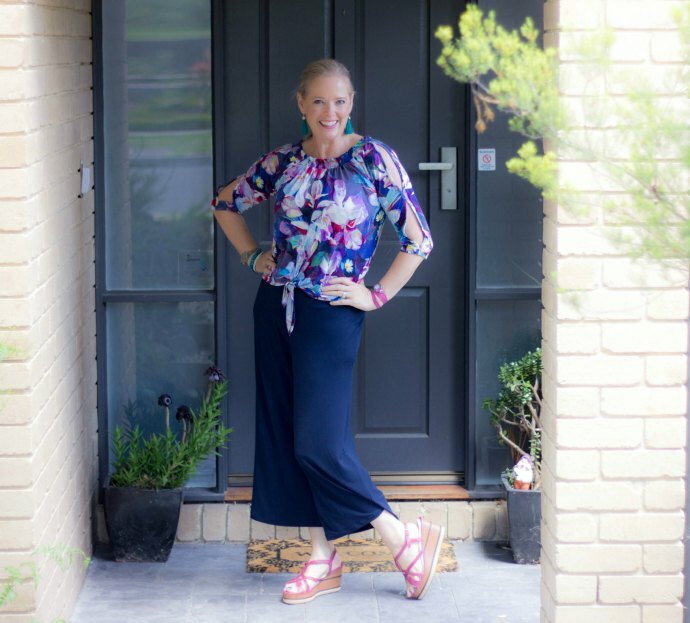 If you’re not sure of your body shape and proportions and would like my professional opinion, you can get this as part of my 7 Steps to Style program (plus a whole lot more, a personal colour analysis, how to express your personality through your clothing so you feel confident and gorgeous, more on your lifestyle and wardrobe needs as well as understanding how your values interplay with your personal style). What Colour Shoes to Choose? I’d actually worked out I looked better “untucked” years ago, but never really knew why! Very helpful again, Imogen! Thanks so much for this series. I’m glad to see that some of my instincts (no tucking, no belt) were valid and not just a result of self-consciousness. Totally makes sense. When I wear those thick belts that were in for a while they just didn’t work. And I know it’s because I have these proportions I just thought I should still be in fashion. It’s a good thing I’m reading your blog. Thanks so much for addressing this, Imogen! I appreciate the confirmation and validation of my shopping behaviors. LOL. So…as a thin person, I can do a thin belt over a top? Cool. Now…I noticed that you show a patterned top with jeans in the first outfit. This kind of surprised me, but encouraged me too. I’ve always avoided patterned tops, in order to avoid drawing attention to my short waist. Are you saying that if the top is long enough, and the right style for my body type (V), then I can pull it off? If so, then great! More opportunities for me to explore as I create Spring/Summer outfits. I will definitely keep this post in mind when I get to the point of working out accessories. I have 0 belts. They have always made me feel awkward. I would like to own some though and I’ll have to experiment with placement. My legs and body proportions are nearly the same, but my mid-bust to waist measurement is by far the smallest, so I still have a short-waisted appearance. I have always worn my tops untucked and avoided belts at the waist. The curious thing is that although I don’t have much space between my ribs and hip bones (3 inches at most), my waist is still 10 inches smaller than my hips. And I don’t really have big hips, my shoulders are slightly wider. If you cut me in half at my waist my top half would be a Y or H, and my bottom half would be an X. No wonder I never find body shape guides to be very helpful, I always end up with contradictory advice. Tat – I too was very happy when the untucked look became fashion! Deja – instinct is often correct! Maria – just because it’s in fashion doesn’t mean we should subscribe to the look. Take what works and leave the rest is my motto. Sal -let me know what you discover! Anon – you can wear a patterned top, it’s more a matter of not drawing attention to your waist, rather than having no interest on your upper body. Cosmo – go into a store with a friend, try on different belts at different points, take photos and go home and look – you’ll probably find what does and doesn’t work for you. Anna – you may be a more curvy H with slightly broad shoulders, and an otherwise balanced body (few and far between!). If you feel short through the centre, make sure your tops aren’t boxy, they need to be shaped, but you just may not want to draw obvious attention to it by belting or adding waist detail, even though your waist is relatively slim in comparison. Sometimes you just have to break your body down into sections and wear what works for each part – so if you have broad shoulders avoid puffed sleeves. Keep your mid section streamlined, then as your legs are balanced, not short, you can wear almost any style on your bottom half! Imogen, I think I am short body/long legs. I think I look great in sheath dresses, long coats, and empire waist tops. Is this because these choices draw the eye away from my weird waist? Thanks, Imogen. Helpful, as usual! Anne – my experience with a belt is it needs to be very soft and have a curved shape to be most flattering, so it sits lower at the front than at the sides – does this make sense? wide! By trial and error I did go with the longer shirt to narrow my waist–and it worked. LOVE that wild patterned dress… tres FUN! Wow this all makes sense. I guess I instinctively followed these rules but never really understood why. Thanks for making it clear. And by the way, my hair still looks fantastic since I watched your how to blow dry your hair video. Kelee – great that you could work out intuitively what to do! TV is so unforgiving. Ingrid – great that your hair is looking fab! ive got an extremely short body and long legs i cant seem to find any maxi dresses that fit me they either fit my waist and not my legs or the other way round. I love how big belts look on other people when i try one on it makes me look like bust then hips and legs it makes me look like i have even less of a waist. Any ideas how to deal with either of these? Hi Imogen, Im a 5ft 1in pear shape with average bust and flabby upper arms. My rise is very short, but other areas are balanced. How should I dress? Thanks. Angel. There is a post somewhere about arms. You’ll find it in the body variations menu. Other than that look at the A-shape advice and also petite advice. I’m so happy that I found this guide — it’s much clearer than other measuring systems I’ve been trying. I have a question, though. I’m pretty definitely an “I” shape (waist only 5 inches smaller than hips, hips equal to shoulders), but the one thing that doesn’t ring true is that my lowest rib is not sitting right on top of the pelvis. There’s a good 3-4 inches between rib and hip bone. But the entire mid-body is definitely short. Legs are half my height and fairly balanced (where I’m long is from chin to bust). But could this explain why a) I really like wide belts around my waist, and think they are flattering, but b) the belt always slides down below the natural waist? Could my shortness be a different breed of shortness, somehow, because of how the ribs are? Sorry for the long-winded, technical question! Anne – having had a quick look at your blog you may be somewhere between an I and an H shape – hard to tell from your pics – but I did notice a larger than average bust which will make your torso look shorter – a good bra will give you a longer waist and make your proportionally more even. Figuring out your proportions can be hard – sometimes it’s easier to get a friend to help you be more accurate. Thanks so much! I appreciate your reply (and please forgive the confusing follow-up correction that I erroneously left on your other post, the one with the how-to video. Senior moments, here). So nice of you to take the time to go look at my pics, too. I usually wear straighter skirts — I think it’s hard to see my proportions from the more recent photos. But thanks for trying! And yes, I misspoke — I meant to say that I believe I’m an H. With longer legs. Thanks again for helping me wrap the brain around all of this. Imogen, just found your site today and have been relishing all your advice. (Never dreamed I was a diamond shaped face, rather than round/heart. No wonder I always loved sweetheart necklines.) Thank you! I think your advice above is absolutely spot-on for equalizing proportions… but I think it’s important to add that dressing well is not always about dressing proportionately! 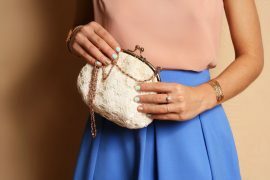 When the higher-waisted styles started coming into fashion about five years ago, I felt very flattered by all of those tucked-in blouses to natural-waist skirts and pants, emphasizing the length of my legs and adding illusory height. Nowadays I’m moving toward deep dropped waists, especially for “occasions.” I have a stick-straight figure and it works, flapper-style. Neither of these look proportional at all, but they’re still modish and becoming. I’m wondering if I need to alter these recommendations for my body shape as well as proportions. I’m very definitely an X shape (pretty much a classic hourglass, 35-25-36), but because I have a short waist, I only have about 1 inch in width of actual waist. I’ve tried a lot of things, but inevitably shirts are either too wide in the waist and make me look fat/pregnant or too narrow in the bust and are pulling at the buttons. Also, I have an incredibly hard time finding shirts that are actually long enough to hit below my hipbones without being super baggy, especially in the waist. Even when I belt these shirts at my waist, there’s so much excessive fabric that it billows over and around the belt and adds to the illusion of bloating. Empire waists are the worst for me as they very definitely make me look pregnant. Any recommendations on what to wear (and maybe where to find it)? Dang. I just measured out my proportions and found the same problem; X-shaped with a short midsection that is proportional to itself and very defined, with the 35-25-36 measurements. Thanks Samantha for asking the question, though; glad I did some more reading before asking the same questions again. Disheartening that specialist shirts may be required, but now I understand why I feel the urge to sew everything for myself! Contrary to most hourglass advice, I always have the waist on skirts and pants a little lower (also they’re more likely to fit), always have my tops un-tucked and about hip length and never wear a waist belt. There is very little room between my waist & hips, less than 2″, a wide belt would never fit, even a thin one cuts my body in 2 and makes my upper body look way too short! One of the things I try to do is elongate my waist. Hi, I wonder why we cannot wear short or short skirt (above knee) for this case? Yes you can wear above the knee as well!